Suppose, for the sake of a better story, you chose to deliberately ignore “inconvenient” facts and details that “got in the way”? In the case of the Beatles, that has happened repeatedly over the past fifty years. With professional pride, we have always said: Not with us. Beatles writing “by Harry Castleman and Walter J. Podrazik” has always been solidly anchored in facts. Beginning with our series of books in the mid-1970s, we’ve consistently verified accounts of the group members’ professional careers, to the best of our own U.S.-based abilities, back to the pre-Internet days. We’ve embraced the straight-laced and confirmed, rather than the fanciful. We’re revealing it now because the time finally seems right. Back in 1979 we deliberately departed from “boring old facts” and instead indulged in the freedom of a fiction writer, weaving a tale the way it “should have” occurred, the way we might have wanted to see it occur. It was the story of the Beatles and their recordings at the legendary January 1, 1962, audition session for Decca Records (a.k.a. “The Decca Tapes”). This was the audition they failed to pass. Decca turned them down. More than a decade later, during the mid-1970s, songs from that session began to surface unofficially in the collecting world, cleverly packaged as a series of vinyl singles. These occasionally even turned up in mainstream record shops. In 1979, there were plans afoot to gather all the tracks onto an album, and word indirectly reached us of interest in liner notes for the package. To this day we have no idea who was behind that project. Back then we responded in a convoluted way, through a guy who knew a guy who knew a guy… all contacts long since expired. In the liner notes we cooked up, all the key information behind each song was absolutely correct. We identified the original artists and composers for the many cover versions the Beatles performed that day. We provided background on the Lennon-McCartney compositions included. We offered critical analysis of their musical performances on each individual track. Our central sleight-of-hand (in the spirit of the then-contemporary Rutles “documentary” “All You Need Is Cash”) was to change one single basic fact. Rather than reject the group, Decca signed them. As a result, the recordings being discussed were changed from being on just one tape from a rejected audition. Instead, they were the product of multiple sessions for actual discs recorded for and released by Decca during the first eight months of 1962. That conceit allowed for a straight-faced fiction that looked real enough for a casual reader to fall for, especially in the U.S. The reason “nobody” had these arcane U.K. records we blithely talked about? In this history, they flopped. We embraced constructing the fabricated history as a challenge in manufactured credibility. The scenario timeline had to be believable, had to fit the inviolate well-known historical landmarks, and had to read as a confident, authoritative narrative. We cited real record release catalogue numbers, key touring dates, and their eventual EMI Parlophone launch in October 1962. Faced with having to squeeze a lot of made-up events into the ten months between their audition and “Love Me Do,” we invented five Beatles singles for Decca, using actual catalogue numbers assigned to real, if obscure, Decca singles of the era. These were accompanied by a discussion of business strategies, along with a handful of made-up quotes and press mentions. 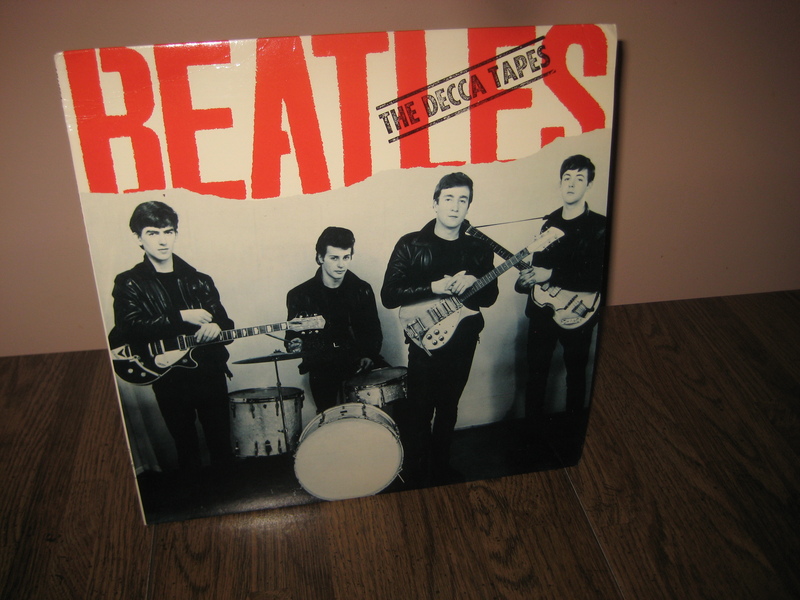 Thus, “The Decca Tapes” 1979 album was positioned as a REISSUE of that UK-only album, which had been immediately withdrawn back in 1962 for legal reasons. Conveniently, that explained why nobody had a copy from then. In a final nod to the original source of the tracks, we touted the 1979 “Decca Tapes” album as also containing a “previously unreleased” cut, identified as from the original January 1 audition … which, of course, it was! 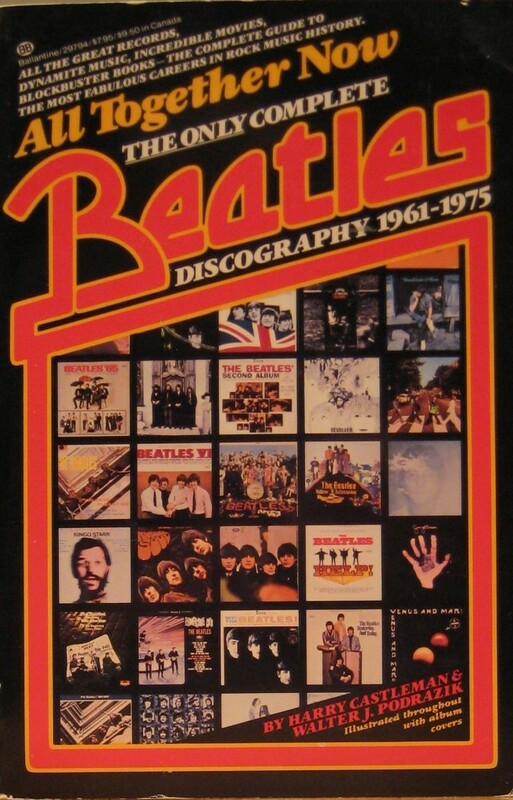 In overall design this package looked very professional, and the high quality of the content made it a favorite addition for many Beatles aficionados in 1979. Although some were fooled by the “Grid Leek” liner notes, most took them for what they were: a lighthearted homage from somebody who did really know his Beatles history, when that was not such a common trait as it is now. With the fiftieth anniversary of the Beatles’ Ed Sullivan debut in the U.S., the history of the group has been revisited in detail. Even today, though, that narrative sometimes still suffers from the source bending the facts to suit the story. We thought this was a good time to come out from behind the curtain of anonymity and republish an old favorite nugget of ours that is so unlike anything else we’ve ever done. Facts are facts, but in the right context, even the fabrications of a “What If” history can be illuminating. They definitely bring a smile. We still think our version of 1962 is more of a hoot than the truth. This entry was posted in Beatles, Harry Castleman as co-author, Media and tagged Beatles, Decca Tapes, Harry Castleman, The Beatles Roundtable. Bookmark the permalink. Ah, those were the days. I remember these singles popping up in the local record store. Didn’t buy them seperately, but I still have the LP somewhere. Great liner notes. Nothing is real…. Now it is all mp3’s. Harry and Wally fans may want to re-read their third Beatles book, The End of The Beatles?, page 347 – 362, what they said in 1985 about this and further packagings of the Decca tapes. I got mine through Joe Pope’s Strawberry Fields Forever fanzine. Never heard of this Untold Story before. The seven singles came out in mid-1977 through early 1979, and those were how we also first enjoyed the tracks. The album gathered those 14 tracks, plus one final number, and was issued in December 1979. I am very thankful that Decca turned down the Beatles. If it wasn’t for George Harrison in May 1963, Decca also turned down the Rolling Stones. Look how the Stones were treated under Decca. Picture the White album as being a single album with only 9 songs on it, while the remaining songs are only available on Bootleg. Though Sgt. Pepper would be neat with a 3-D cover, but would suffer from inferior mixing like the stones “Satanic…” album. The First stereo Beatles album in England would by “Revolver”. Compare the US & UK versions of “Aftermath” and you might be thankful too.